When did David Fincher become an auteur? Or is Fincher an auteur? He walks the tight-rope between thrilling, entertaining, telling a good story, and injecting a little bit of art into his canvas. He also has honed his craft to the point that you can expect solid filmmaking, regardless how accessible the film, with every project. I do not like every Fincher film. He still walks that tightrope. Gone Girl and The Girl With the Dragon Tattoo are dense, twisty, psychological thrillers, whereas The Social Network was a well told story about The Facebook. I mean Facebook. By the time The Game came out, Fincher had released two feature films, and the first, Alien³, barely counts. He followed that with Se7en, which, whether you like it or not, is firmly a step towards the auteur platform. I would (and will) argue that The Game was another big step, but Fight Club, the film after, cemented his status. Oh yeah, and he made music videos for Madonna, George Michael and others, which has proven to be a decent launching pad to auteurism (Spike Jonze, Jonathan Glazer, Mark Romanek, and others). 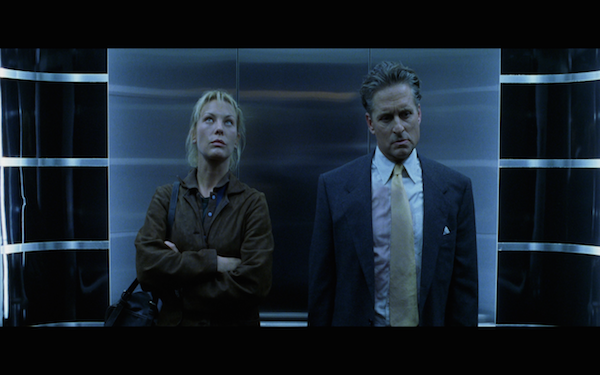 As Michael Douglas was being justifiably paranoid while running around at night in San Francisco, in my opinion, David Fincher was becoming an auteur. Many would consider Se7en a better film (not me). It was certainly daring to play with convention and dip his toes into experimental waters with the murder mystery, but I don’t think he had found his visual craft just yet. He most certainly finds this with The Game, and while I don’t think it his best movie, it is some of his best visual filmmaking and storytelling this side of Zodiac and The Social Network. This gave him the confidence to mess with people on Fight Club. He eventually would even make a movie about a dude that ages backwards. In my book he’s a visual and creative auteur, although my podcast co-host disagrees because he does not write his own work, and instead chooses to adapt best-selling novels. Michael Douglas puts in good work as Nicholas Van Orton, a wealthy corporate carnivore, the kind of guy who takes down businesses in order to line his own pockets. We’ve seen this type of character before, and I am pretty sure that Douglas’ casting and his previous performance as Gordon Gekko in Wall Street was not an accident. He is playing a variation on the character, and would nod his head enthusiastically during the “Greed is Good” speech. Part of what makes the convoluted plot so enthralling is that Van Orton’s wealth puts him so far above society, sometimes figuratively and others literally. He even treats those below him with contempt, whether it is a random waitress who spills wine on his expensive suit, or the founder of a company that failed to meet earnings per share expectations. Nicholas Van Orton is, simply, an A-hole. Things change when his brother, played by Sean Penn in a smaller role, gives him a gift of a “game” put on by a company called CRS. “Call that number,” his brother says. “It’ll make your life fun.” Van Orton could use a little spice in his life. He turns 48, the same age at which his father died of suicide. His way of celebrating this accomplishment is eating a hamburger and a cupcake birthday dinner alone in his mansion. Is my TV talking to me? 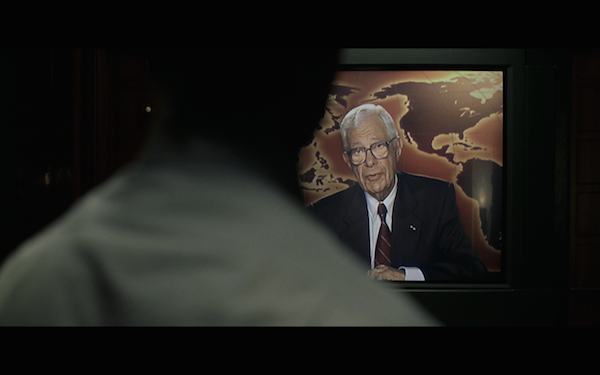 As I mentioned above, I think Fincher established himself as a visual director. His images are sleek, polished, and framed impeccably. This is especially true with The Game which is filmed almost entirely under cover of darkness. It is not easy to make a dark film seem visually striking. They way he frames this dark world draws more attention to the presence of light, however minute. In some respects, you could describe this film as a neo-noir, as they are trying to unravel a mystery, but not a murder mystery. The continual shadows and silhouettes are an efficient use of filmic language to visually show the confusion and darkness that Nicholas is experiencing. He is lost in the movie and in his life. 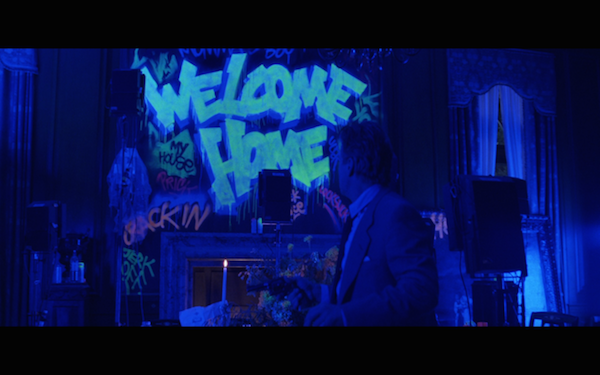 One of my favorite scenes is when he returns home and finds it ransacked, decorated with black-lit graffiti while Jefferson Airplane’s White Rabbit plays loudly. What impressed me most about this scene is not just the visuals (although they are phenomenal), but how it directly addresses a theme that it has touched on throughout the film, specifically Nicholas’ relationship with his father. In the opening scene, we see old home video footage of a birthday party. We see father and son pose together for a picture, and then the father symbolically walks away. As we learn in the film, he would end his life by throwing himself off a building. The White Rabbit scene addresses this theme with nearly sickening candor. On the wall is written, “don’t cry pretty boy,” and there is a note that says, “like my father before me, I choose eternal sleep.” Is CSR trying to push Nicholas towards following in his father’s footsteps and ending himself at the age of 48? Or is this is just a way of invading the topics that are the most personal and painful for Nicholas? These are many of the questions that we ask as Nicholas tries to uncover the truth behind CSR. Some are critical of the ending, and I will admit that although I accept it, I am not thrilled with it. I will say that it partially invalidates some of the more interesting thematic questions that the film touches on, including the aforementioned daddy issues. Do not worry, I will not spoil it here, but I will explore a couple of the questions that I found interesting. What does the film say about society and honesty? Nicholas is hardly a trusting individual, which is not only because he is playing his part in this game. He is also not trustworthy, and we see him lie or stab people in the back at business, which is probably an average day at work for Van Orton. During the game, whether he knows it or not, many people are lying to him, including many in which he places his trust. The fact that he offers some trust is a bit of character evolution, although it probably is temporary as it is out of self-preservation. Michael Douglas is in virtually all of the scenes, yet the events of the game defy credibility even for a Hollywood film. One question I had was whether he was a reliable narrator. We learn that he has demons, personal issues, a lot of stress, and no real close friends. Could he be going crazy? Could this “game” be a way of him processing this psychosis? In one scene he finds a hotel room that has drugs and compromising, scandalous photos, but we know from the film that he was not in the hotel room. Could there be another Nicholas, an even seedier Nicholas, that is being hid? I could go on, but I’d rather stay away from spoiler territory and leave it at that. I was pleasantly surprised by this re-visitation to find an accomplished and engaging thriller, one that was crafted with the care of someone who loves film. Commentary: 1997 Criterion Collection with Fincher, Douglas, the writing and production crew. This is not my favorite type of commentary because they transition from different people involved with the production, and the comments do not always correlate to the events as they are happening on screen. It is partial commentary and partial interviews about the film. The commentary is best when Fincher or Douglas speak. Douglas: Some directors have a love/hate relationship with actors. They need them, but they resent them because of their salaries, etc. but that did not happen with Fincher and crew on this film. When he could not open the briefcase in the office, Douglas impulsively acted violently towards the case. He thought the character called for that sort of outburst and Fincher liked it. Christine tells him in the elevator that she is not wearing underwear. That’s a lie. There are other scenes that reveal that she is wearing underwear. She will say anything to get him to cede control, which is part of the CRS way. She is directing him within the game. In the first draft, Van Orton was a nicer character. Most Hollywood films want a character people can sympathize with. It was Fincher that moved the character back into darker territory, which is a brave move. The shooting schedule was 108 days and he was on the set for 107. They were very far out of continuity. The challenge was knowing where you were in the film, so he had to think about tempo. Douglas really liked The Game. He thought it was well made. The only thing he questioned was whether it had heart and soul. The Game was measured ultimately on the box office (which seems okay from what I can tell, so I don’t understand his statement). He understands that people had trouble with the film, but it will have a long shelf life. I’m not going to reveal much here because I don’t want to spoil the real film, but I will say that this alternate (I believe) omits what could be seen as a familiar Hollywood trope, so I most likely would have preferred it. They show the dog chase, taxi scene, Christine’s house, and the fall. These were fun to watch, if not revelatory. They just show a large part of the production, while also showing some of the director and photographer’s vision as they translate the storyboards into shots. These also covered many of the same storyboard scenes. I will not go into them one by one, but these were interesting as a glimpse into the trickery behind how they created effects. 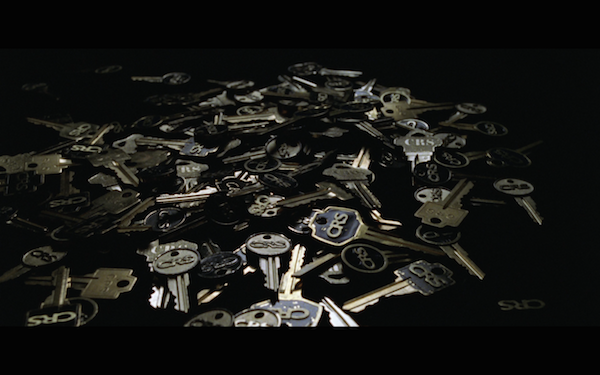 I always enjoy seeing the scene, especially some of the more complex scenes in this film, without the movie magic. I came away from these scenes more impressed with Douglas as an actor. In fact, I’d say I came away from this film impressed with Douglas. This is really a deleted scene. It is the test film that Van Orton had to see during his CRS profile. It is cut like an experimental music video. Only portions of it made it into the finished film. Again, not essential, but a little bit of fun. 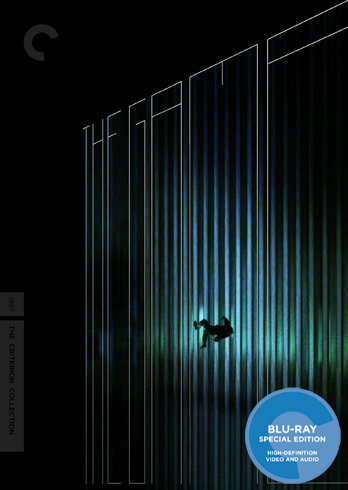 Posted on August 7, 2015, in Criterions, Film. Bookmark the permalink. 16 Comments. I’ve seen this one about three times and enjoy it thoroughly each viewing. I actually have no qualms with the ending, though I know several people who find it distasteful. I don’t either really, only that a lot of the thematic elements that Fincher brings in prove to be red herrings (probably). Out of interest, why do you say that? It’s a movie I hold in high regard. As do I, and I should be careful with throwaway comments. I meant it because it was created several years prior to Fincher’s regular work as a film director. And even though some regard it highly (like us), it does not match up with the acclaim of the late-90s films. It would probably by top-five or close for me. Ah! Thanks for the explanation. Glad to know there are others out there who like the movie. That was awesome. Thanks for sharing. 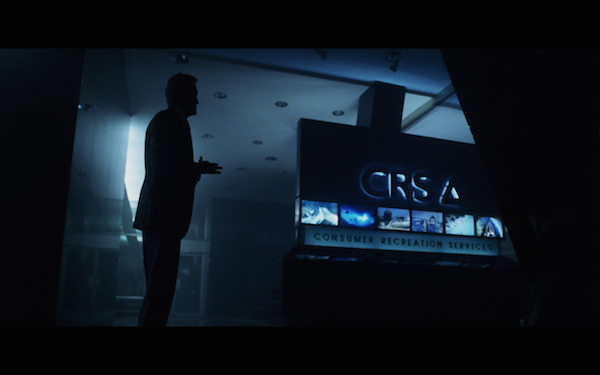 Fincher does have a style, and as this video shows, he clearly borrows some from his music video days. I saw this film when it was released and thought Deborah Kara Unger performance would lead to larger roles for her, but it really didn’t. She still acts, but I think this was her best performance. 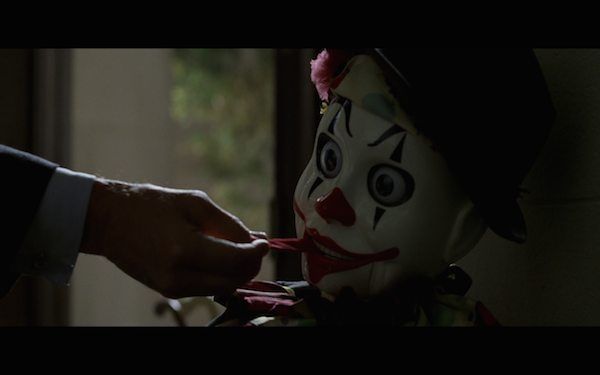 Also, for some reason this film reminds me of Curtis Hanson’s film ‘Bad Influence’. Not sure why, maybe it’s just a similar mood. I definitely see the comparison’s with Bad Influence. The plot and characters are different, but it has the same tone. Unger was good and I wanted to work her into the review, but it was long enough. It is unfortunate that this didn’t open up more doors for her. I haven’t seen much of her recent work. She was good in a film ‘Stander,’ which not many have seen and it is somewhat underappreciated. I saw this film when it was released and thought Deborah Kara Unger performance would lead to larger roles for her, but it really didn’t. She’s been excellent in so many movies, many but not all of them undistinguished (Highlander III, Crash). Like you, I’ve kept waiting for her to have that big breakout moment, but it’s never happened (alas). I’m not the biggest fan of it, but I do like it well enough, and was satisfied with the denouement. Technically of course it is a film that moved mountains. Again your authoritative and splendidly written essay brings this film into sharp focus! Late to the party but have to say I loved this post, I’m a big fan of Fincher and this movie, which I have found gets forgotten sometimes. I totally agree about your auteur statement, he’s a brand that I can trust. Thanks for chiming in. Better late than never! Yes, I definitely consider him an auteur. People can get persnickety about that label and I’ve seen people try to malign people like Fincher and Ang Lee because they adapt other material. I have no problem with that as long as they do so at a high level. Hitchcock adapted a lot of other material.